In many cases, recovery voices are marginalised and ineffective when the work is shouldered primarily by lone individuals. ARCO is an independent, non-profit organisation led and governed by people in recovery and their allies. They educate the community, provide services to people in the early stages of recovery, and advocate for policies that are supportive of recovery. Building strong Recovery Community Organisations (RCOs) helps tackle the feelings of isolation and shame. It unites and supports the growing network of local, regional and national recovery community organisations. RCO links recovery community organisations and their leaders with local and national allies, and provides training and technical assistance to groups. There are as many different paths to recovery as there are different people in recovery. Regardless of how people achieve recovery, they are the living proof that recovery happens and that there are real solutions to the problems of addiction to alcohol and other drugs. All recovery community organisations that are led and governed by the recovery community are welcome to join. To find out what becoming a RCO means and if your organisation fits the criteria, please download our toolkit for Recovery Community Organisations. This Toolkit looks at how to go about setting up an RCO – from the core principles that inform it to the practicalities of creating and sustaining an organisation. Please see our Recovery advocacy training ‘Our Stories Have Power‘. If you are or work with members of the 12 step fellowships, please see our ‘Advocacy with Anonymity Leaflet‘ and please find our in depth guide for people who are interested in more about the 12 traditions ‘Advocacy with Anonymity Brochure‘. If you are using your story to talk with different groups of people about addiction, recovery, stigma and discrimination, please see our ‘Using Your Story Booklet‘. Speaking with or want to speak with the media, our ‘Top Tips For Media Booklet‘ will be invaluable. Some hard won experience and guidance from Our Stories Have Power training on how to answer and deal with questions about our recovery with advocacy in mind, here in our ‘Questions and Answers Booklet‘. 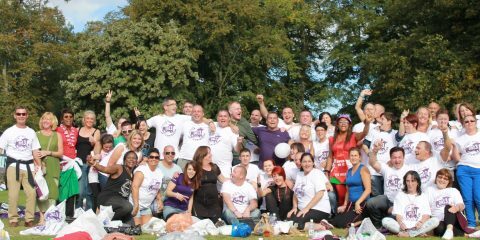 “Give it Back” is an opportunity to shape public policy and reduce stigma by highlighting the fact that every day in the UK people in long term recovery from addiction to alcohol and other drugs freely volunteer their time to help others and make their communities better places to live. Giving something back to others is one of the defining features of Recovery from addiction and one of the common denominators of the different pathways to Recovery. Every September during Recovery Month FAVOR UK coordinate national and regional media campaigns and support members with their own local media campaigns to showcase examples of individuals and groups of people in long term Recovery voluntarily giving something back to their local communities. Actions speak louder than words and this “advocacy in action” will give a powerful message that recovery gifts us a new sense of self purpose and the opportunity of a lifelong process of development and growth. People in long term Recovery from addiction instinctively know that “giving back” to others is a crucial component of their own recovery and wellbeing. This is supported by scientific evidence and may also explain why researchers have found that long-term recovery is associated with being “better than well”. FAVOR wants to promote the powerful message that people in long term recovery from addiction to alcohol and other drugs are one of the greatest assets local communities have and when organised into local Recovery Community Organisations can be a powerful force improving the lives of people around them. Please send us details of any “Give it Back” activities during September and we will showcase them on our website and through other media. It doesn’t matter how big or small they are, or if they are all year round activities or one off events organised specifically for Recovery Month. All that matters is that they are examples of people in long term recovery from addiction to alcohol or other drugs giving something back in their local communities. Please contact us if you want support with local media to highlight what you are doing.